Some of us travel to see history come to life, some of us have a thirst for experiencing a different culture, for others it’s the thrill of an adventure. No matter how you arrive to Lithuania by land, air or water, one thing most of us can agree on is coming together to break bread and sinking our teeth into the best flavors a new destination has to offer. Should your one day find yourself in Vilnius, wandering through the maze of churches that make Lithuania a living history book, looking for ideas for lunch, then here are a few great tips to follow. 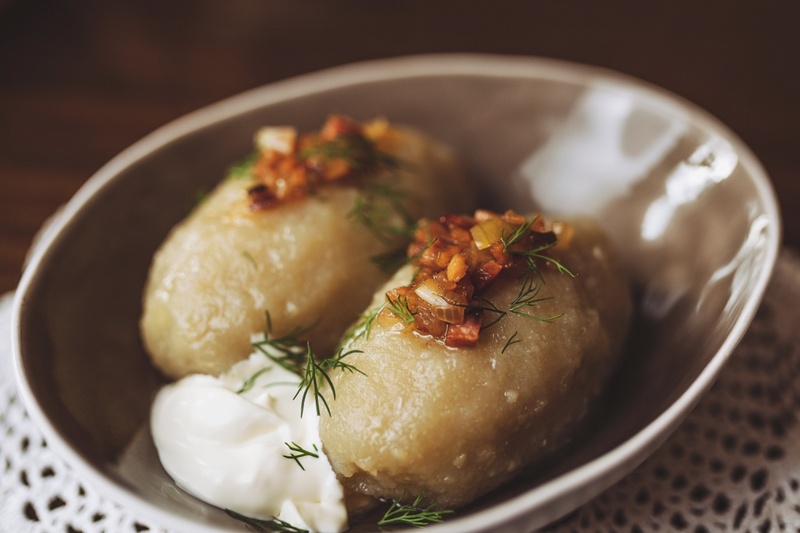 Your Guide to Lithuanian Cuisine. Do you know anybody who doesn’t like food? Or prefer to one type of taste and texture to another? Speaking of bread, Lithuanians love and live by the three Bs: beer, bread, and basketball. 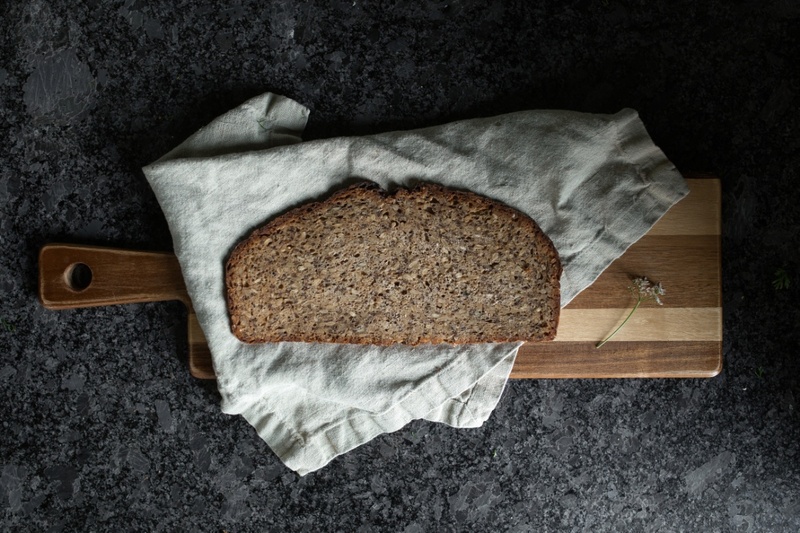 Duona, or black rye bread, is as dense as it is naturally sweet, and commonly found in Baltic countries. The bread comes with a black rind making it look almost burnt, but do not let that fool you. It has simple ingredients — just rye flour, fermented with water — but a distinct, unexpected taste. Because of the importance of this bread in most Lithuanian diets, you’ll find it at just about any grocery store, bakery, or market; however we think Senamiesčio krautuvė, (a small market in old town of Vilnius, address: Laukiame Jūsų Literatų g. 5 ) has a little extra something that puts their loaf over the top. Grab some butter and salt or some white cheese and enjoy it for breakfast as Lithuanians do. Cake on a spit. A little bit like a pastry decorated with crisp or soft “branches”. Only much tastier! The batter for this delicacy is made with at least 100 eggs, a few kilograms of butter, sugar, and a secret ingredient that makes each recipe different. 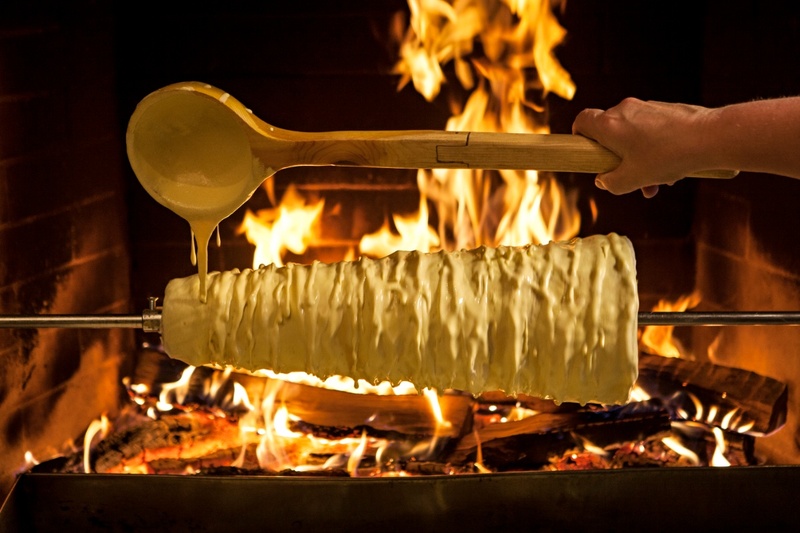 You’ll get one type of šakotis in Sudovia, and something different in Druskininkai. This is where you can try turning the spit yourself, taste the results, and find out about the history of this treat at the Šakotis Museum. This dessert is a real cholesterol bomb, but it’s worth trying. This, heavy, filling dish is most delicious when it is made from fresh potatoes. 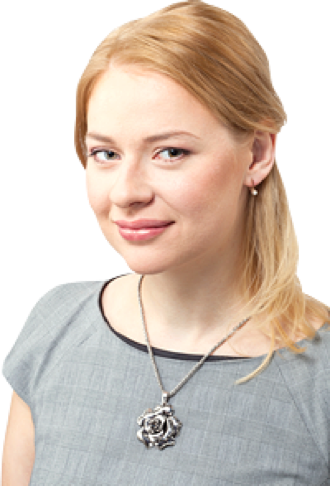 Lithuanians, nevertheless, are so fond of it, that they cook it all year round. Once you try this fatty dish, you will really understand why you should not enjoy it too often! Although they are usually cooked with a meat filling, there are many other options suitable for vegetarians – with curd, mushrooms, vegetables… just brainstorm a bit! 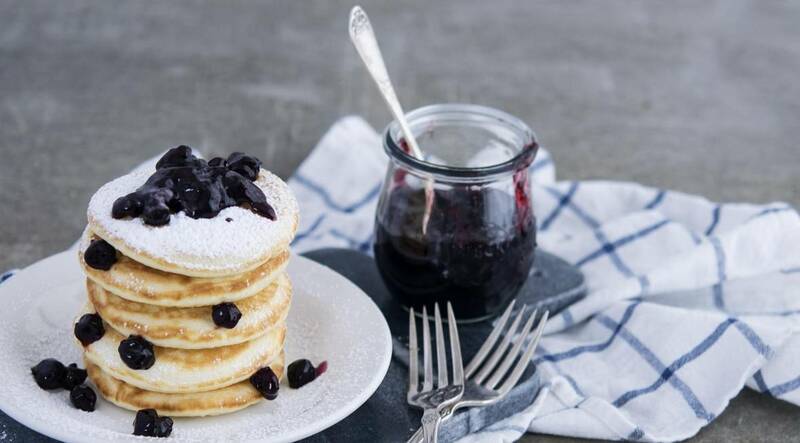 Pancakes, to the joy of children and adults alike are a simple dish to make, but can oh so easily be elevated to a real Lithuanian culinary experience filled with potatoes, curd cheese or meat, with savory mushrooms or sweet jam. 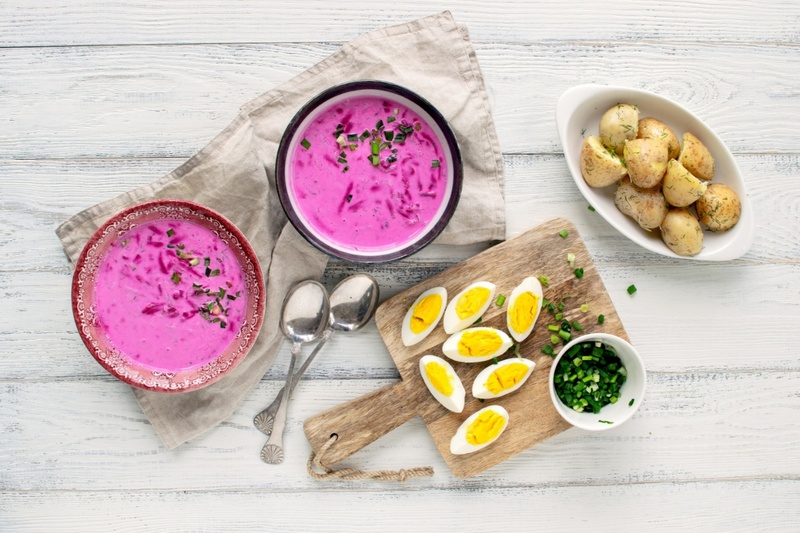 You will experience the real taste of Lithuania cuisine if you taste this easy-to-cook soup, especially popular in Lithuania – „šaltibarčiai“ (cold beetroot oup, pink soup)! The soup has a shocking bright pink colour due to the natural beetroot juice and an incredibly fresh taste due to the most important ingriedent in the cold soup – kephir, recognized by nutritionists as one of the healthiest products in the world. Carlo petrini, an Italian founder and leader of the famous Slow Food movement, has called Lithuanian cold beetroot soup „the world‘s most aesthetic cold soup“. In Lithuania, there is such an incredibly wide selection of delicacies available, you could eat them three times a day and still not get bored!